Good value, good service and quality products give me the warm fuzzies. I’ll share my 4 favourite businesses dealt with this week. 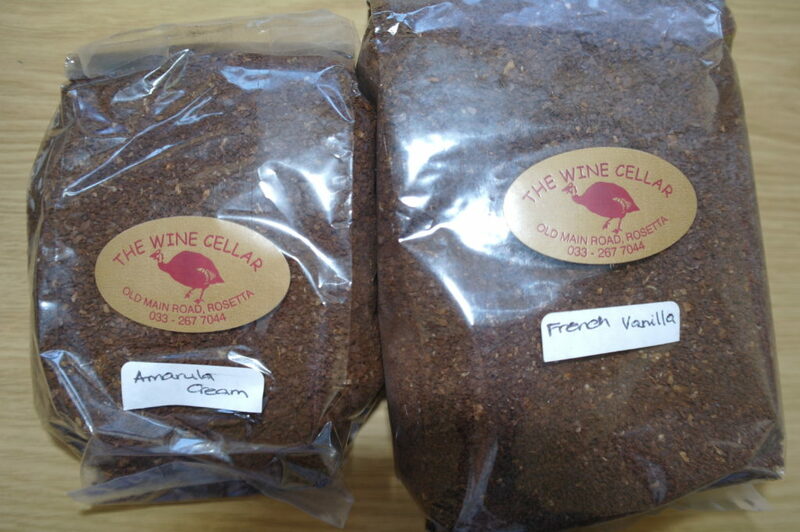 On our return from Durban we always have to stop at the Wine Cellar just outside Rosetta in the Midlands, oddly enough not always for wine but always for flavoured coffee beans (they grind them if you wish) such as Amarula Cream, Kulua Fudge, Dutch Chocolate, French Vanilla etc. Margie must be one of the nicest humans around, despite the fact that we sometimes only visit once or twice a year, she always remembers me and greets us with a smile. 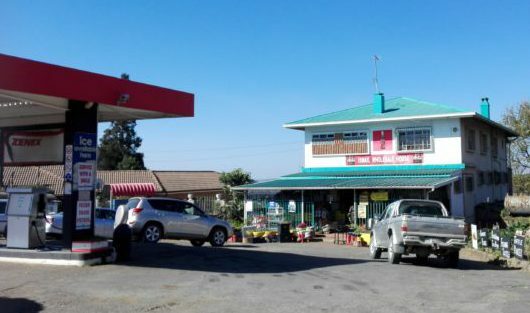 The other crucial stop on the Joburg / Durban trip is the wholesale store at the Zenex petrol station near Midmar on the R103. If you take the R103 Midmar, Howick turn off from the freeway you pass it, not long after Midmar dam. 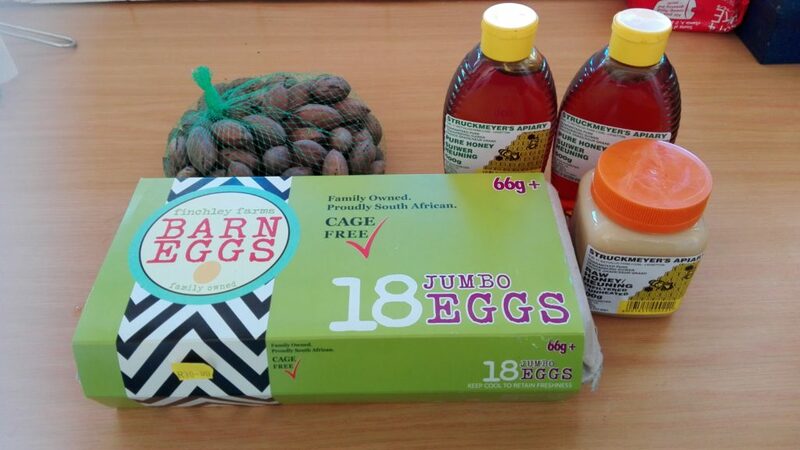 They must sell the cheapest honey around R30 for 500ml and R35 for creamed honey, I also bought pecan nuts for R25 a bag and free range eggs. The store may look a bit scruffy but the bargains are amazing. I didn’t personally deal with Olyvenbosch but Cliff ordered me this amazing box of goodies from them. 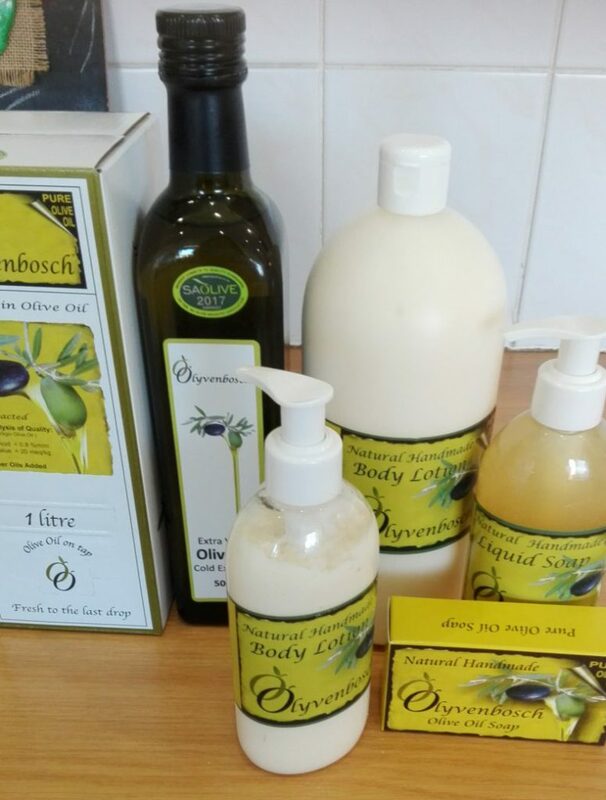 2 Years ago for Christmas, Cliff bought me Olyvenbosch Body Lotion, it was the best body lotion that I have ever used, we never found it again. He looked them up recently and was so impressed with their customer service, he received a friendly telephone call after e-mailing them. There is no supplier in Joburg but for a delivery charge of R100 they will deliver any online order no matter how big or small. He ordered the above goodies for me. The soap is WOW, it feels more creamy than any I’ve come across. I asked him the price of the Olive Oil, it’s a bit rude to ask the prices of the other gifts. 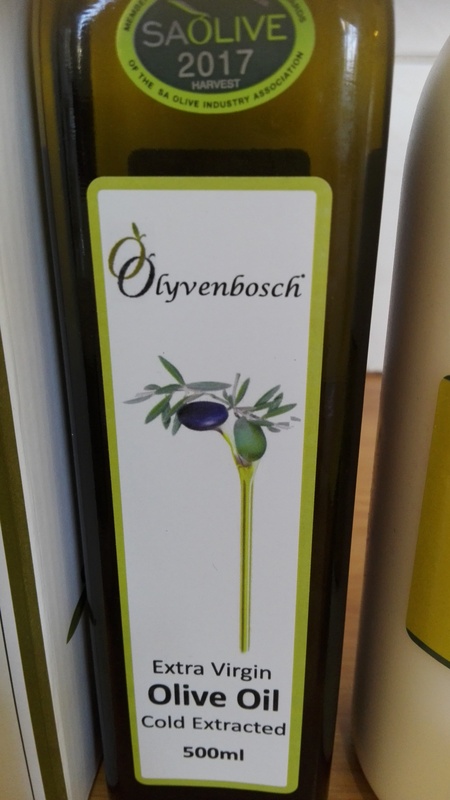 Their Olive Oil is R70 for 500ml and an incredible R110 for 1 litre. Just ordering those alone is worth it if you get a few bottles. I think it would be a good idea for a few friends or family to order in bulk. It would also make a lovely gift hamper to send have delivered to someone special. 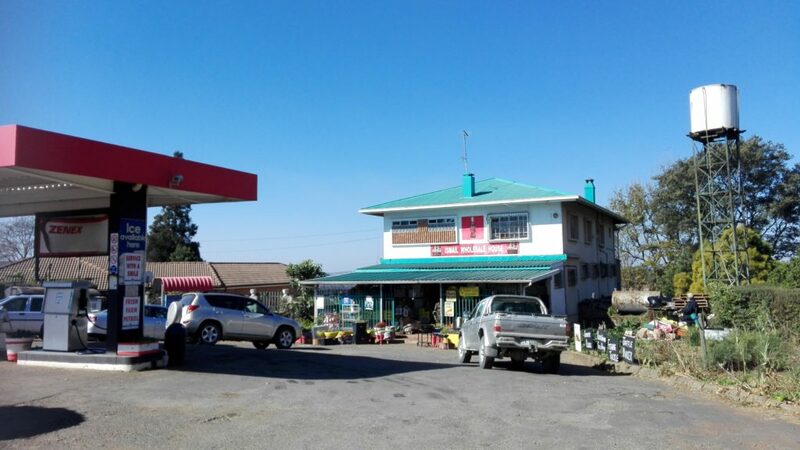 Last but not least, when we visit Cullinan, as we did yesterday for lunch I love stopping at Du Plooy Melkery on the R515 about 10km outside Cullinan. 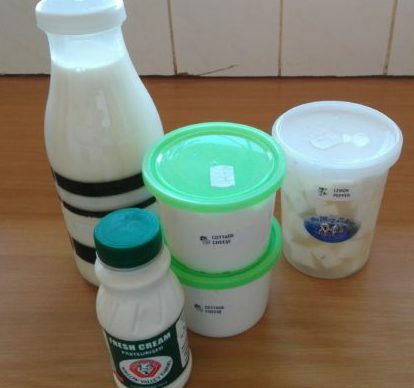 You can take your own container or buy a plastic bottle to fill with farm fresh milk. 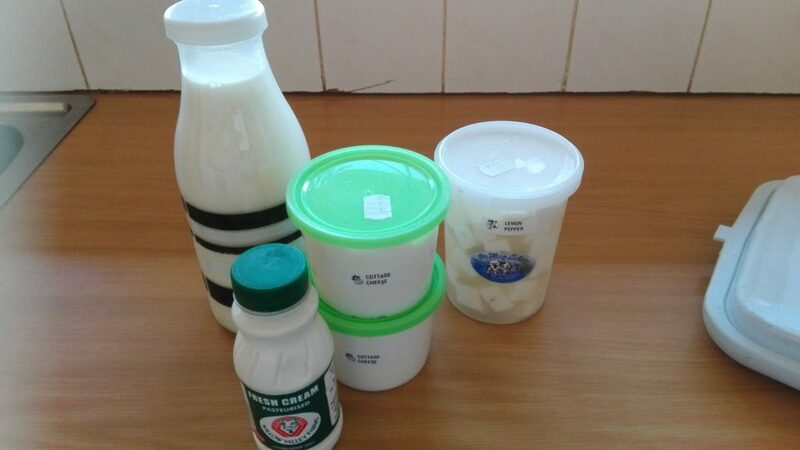 I also bought feta R35, smooth cottage cheese R15 per tub and fresh cream R15. 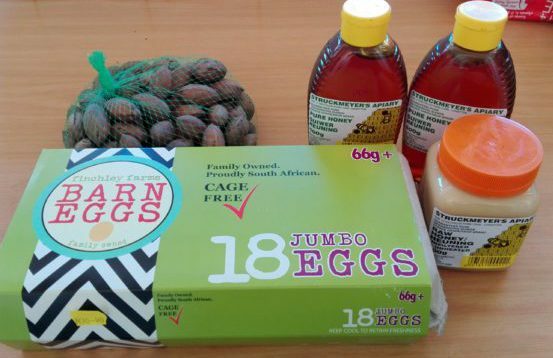 They have lots of other dairy products including drinking yoghurt and eggs.